Thu., 25 Apr. - Sun., 28 Apr. 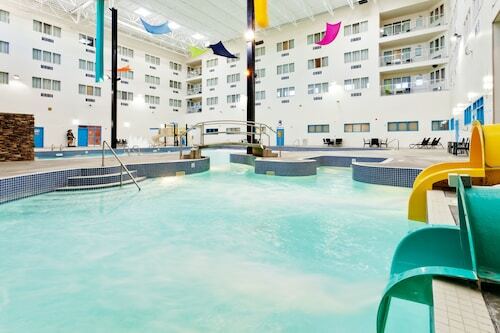 This family-friendly Lethbridge hotel is located near the airport, within 1 mi (2 km) of Enmax Centre and Lethbridge College. Henderson Lake and Exhibition Park Lethbridge are also within 3 mi (5 km). 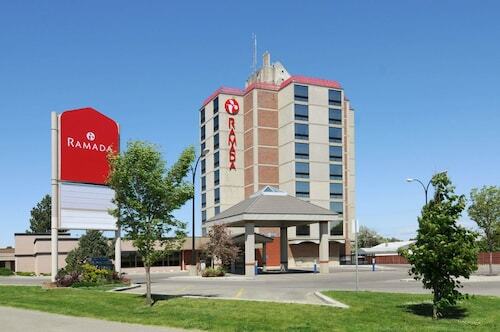 Situated near the airport, this eco-friendly hotel is within 1 mi (2 km) of Enmax Centre and Lethbridge College. 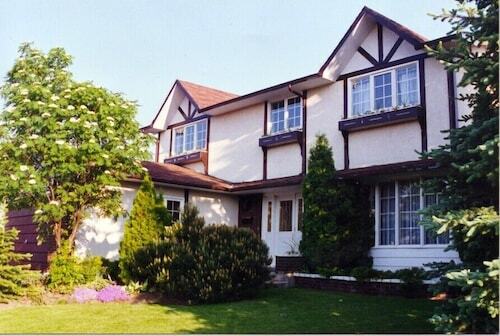 Henderson Lake Golf Club and Nikka Yuko Japanese Garden are also within 1 mi (2 km). 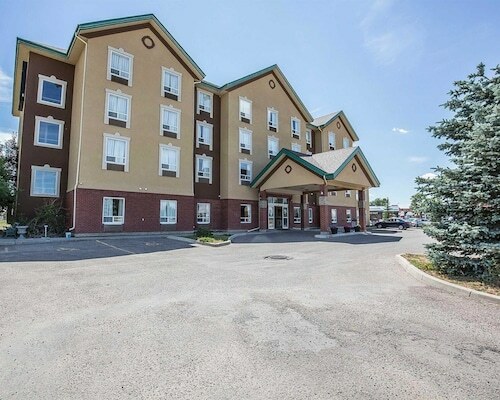 Situated in Lethbridge, this hotel is 0.5 mi (0.8 km) from Henderson Lake Golf Club and 1.4 mi (2.3 km) from Lethbridge College. Nikka Yuko Japanese Garden and Spitz Stadium are also within 1 mi (2 km). 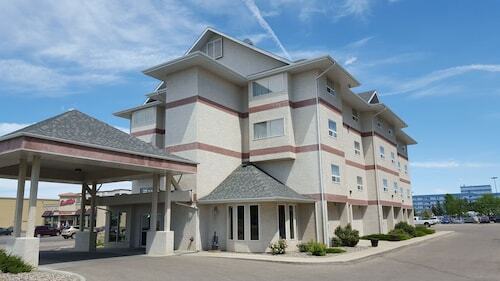 Situated near the airport, this hotel is within 1 mi (2 km) of Enmax Centre and Lethbridge College. Henderson Lake Golf Club and Nikka Yuko Japanese Garden are also within 2 mi (3 km). 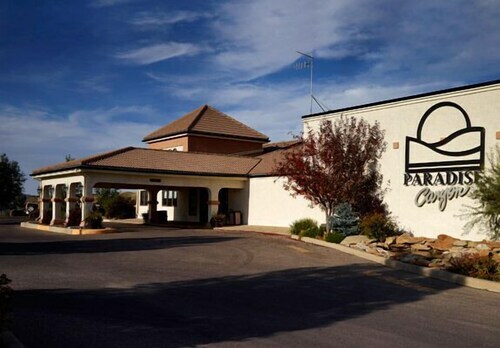 Located in the heart of Lethbridge, this golf hotel is 0.3 mi (0.5 km) from Nikka Yuko Japanese Garden and 1.7 mi (2.7 km) from Lethbridge College. Henderson Lake Golf Club and Spitz Stadium are also within 15 minutes. 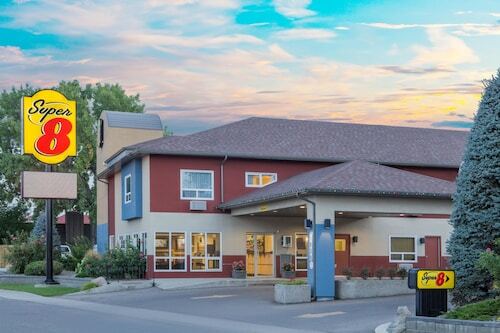 Situated in Lethbridge, this bed & breakfast is 1 mi (1.5 km) from Enmax Centre and 1.3 mi (2.1 km) from Lethbridge College. Henderson Lake Golf Club and Nikka Yuko Japanese Garden are also within 2 mi (3 km). 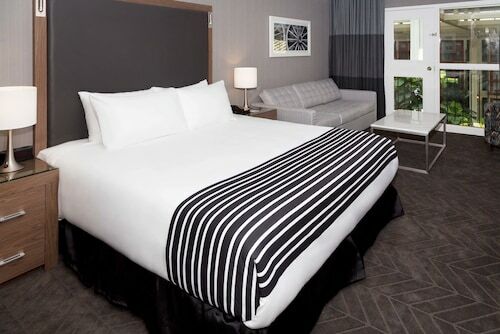 Located in the heart of Lethbridge, this eco-friendly hotel is 0.3 mi (0.4 km) from Galt Museum and Archives and 2.5 mi (4.1 km) from University of Lethbridge. Park Place Shopping Centre and Fort Whoop Up are also within 15 minutes.